Personal property insurance, also known as “contents insurance,” reimburses you in the event that your possessions within the home (whether you own or rent) are damaged, destroyed, lost or stolen. As you take this visual inventory, imagine what it would cost if everything was lost in a flood or fire–could you afford to replace what’s most important to you? If not, you might need personal property insurance. If you own your house, your homeowners insurance policy includes coverage for personal property–typically totaling 40 to 75 percent of the insured value of the building (note that your building coverage is not related to its market value; it’s based on rebuilding costs). However, coverage for certain types of personal property–artwork, jewelry, antiques and firearms, for example–is very limited, ranging from $1,000 to $2,500. You’ll find these exclusions in your policy under Section I, Personal Property, Special Limits of Liability. If the value of your personal property exceeds the limits of your homeowners insurance, or if you have valuable items that are insufficiently covered by a standard homeowners policy, you may need to expand your contents coverage with a scheduled personal property endorsement (aka a personal article floater). These riders cover specified property and establish a “value loss settlement.” This means that unless the cause of loss is specifically excluded, the insurer pays the value loss settlement amount if the property is lost, stolen or destroyed. For example, if a ring is insured for its $15,000 appraised value, the insurer pays $15,000 if it’s stolen–no deduction for depreciation and no deductible. Another advantage of scheduled personal property endorsements is that standard homeowners insurance covers personal property replacement in the event of fire, windstorm, lightning, hail or explosions, but not necessarily from theft, loss or accidental destruction. Scheduled personal property endorsements cover your possessions in almost any peril. The amount of coverage you need depends on the value of your possessions, the worth of your house, and the type of coverage you want. If your house is expensive, but your stuff is cheap, your homeowners policy might be sufficient. If the reverse is true, or you want to cover items that fall under the special limits section, you’ll need to purchase additional coverage, typically for about $25 per $1,000 of coverage per year. If you find yourself with a slew of items that require a scheduled endorsement, there’s another option for you to consider–the HO-5 policy. Standard homeowners insurance, called HO-3, is the minimum coverage requirement when obtaining a mortgage, and the most popular policy. It covers a broad range of property types, but offers limited coverage for your personal belongings. The HO-5 offers increased protection, eliminating many of the limitations of the HO3 and expanding coverage–for example, including a higher limit for jewelry items and business personal property. 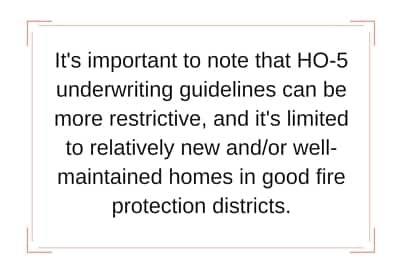 It’s important to note that HO-5 underwriting guidelines can be more restrictive, and it’s limited to relatively new and/or well-maintained homes in good fire protection districts. Many items that would require a scheduled property endorsement on the HO-3 are automatically included in the HO-5. For example, replacement cost on contents insurance. This coverage is more expensive than HO-3 coverage, but may be all you need and less expensive than personal property endorsements. The chart below contains data supplied by the National Association of Insurance Commissioners and compares average HO-3 and HO-5 costs. Home insurance is a little different for condo owners. While those with single-family homes buy policies that cover the building structure, and personal property coverage (within limits as discussed above) is included, condominium owners get their homeowners coverage with their HOA dues. If they want their home’s contents covered, they have to purchase this insurance themselves. Condo insurance (called an H0-6 policy) picks up where your association’s master policy leaves off–providing protection for your personal property and liability coverage if you cause another person’s injury or property damage, or legal fees if you have to defend yourself in a lawsuit. An “all-in” or “single unit” condo master policy covers the fixtures in your condo, appliances, wiring, plumbing, and carpets, but not your personal property. A “bare walls-in” condo master policy covers nothing contained within your walls. It might not even cover your plumbing and electrical systems. Your H0-6 policy covers loss or damage to your personal possessions, up to the limit you purchase. It also covers personal liability and medical payments. If necessary, you can buy special coverage (a rider) for certain valuables, such as jewelry. This insurance typically covers loss of use after a fire or storm makes your unit uninhabitable. As with single-family homeowners insurance, you may have to purchase additional coverage for high-value or excluded items. That’s based on Insurance.com’s analysis of rates from up to six insurers for nearly every ZIP code in the country. Your cost depends on your condo’s location, the extent of its master policy coverage, and the amount of personal property you wish to insure. To see how much condo insurance costs for personal property coverage amounts of $20,000, $40,000, $60,000, $80,000 and $100,000, compare rates using Insurance.com’s average condo insurance rates tool. If you rent, your landlord’s insurance policy does not cover your personal things. However, many renters believe that it does, and this misunderstanding can cause bad feelings or even lawsuits between landlords and tenants. For this reason, many advisers recommend that landlords require renters to carry their own insurance coverage for personal property. Even if your landlord doesn’t require you to purchase renters coverage, you probably should. Renters insurance costs considerably less than homeowners or condo policies because it doesn’t cover the building or the landlord’s personal property used by the renter–for example, furnishings and appliances in the apartment or rental home. Renters insurance reimburses you if your belongings are stolen, damaged or destroyed while in your home, and in some cases, while away from home (for example, if your laptop gets stolen on your way to work). 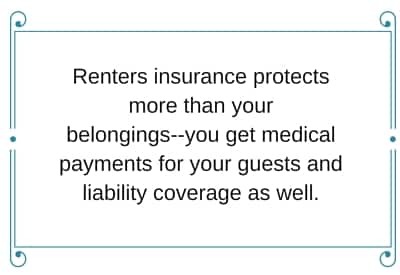 Renters insurance protects more than your belongings–you get medical payments for your guests and liability coverage as well. If your dog, for example, bites a visitor to your home, you could end up paying out-of-pocket for your guest’s medical costs and other damages if you don’t have renters insurance. Even if you and your dog are not at fault, you may have to defend yourself in a lawsuit. With renters insurance, you have less to worry about. According to Insurance.com’s rate analysis, the average renters insurance policy costs just $197 per year, or about $17 monthly. Prices in South Carolina, Pennsylvania and Hawaii are about average. Louisiana’s are the highest, at $719 a year. Colorado’s are the lowest, at $103. Considering the potential high cost of bad luck, and the relatively low cost of protecting yourself and your belongings, renters insurance is a bargain. To see average renters insurance rates by ZIP code for 75 different coverage levels, including those with personal property limits of $20,000, $40,000, $60,000, $80,000 and $100,000, use Insurance.com’s average renters insurance rates tool. It also shows the highest and lowest rates fielded from up to six insurers, so you can compare insurance companies and ensure you’re getting the best price for the policy you want. If you own or rent in an area subject to expensive hazards–crime, catastrophic weather, or fire danger, your rates are likely to be higher. If your neighbors file frequent claims, even if you don’t, your rates may be higher. If your home is not well-maintained or is very old or in poor condition, you may pay more. While you can’t change your home’s location easily, you can maintain or upgrade it. Make improvements that could make your home safer and lower your premiums. For example, adding storm shutters, reinforcing your roof, or modernizing your heating, plumbing and electrical systems. You may realize significant discounts for increasing your home security or installing fire sprinkler systems. Keep an eye on your credit rating, and if it improves significantly, ask for a premium reduction. Keep claims to a minimum–if you filed one in the last 3 to 5 years, your rate may be higher. Once you put some time between you and your last claim, however, request a discount for not filing claims. It’s smart to comparison shop and review your homeowners coverage each year; there are many items to consider when buying homeowners insurance. Ask about discounts for switching insurers, for staying with your current insurer, for bundling your policies, for increasing your deductible, for being retired or for being in your profession (teachers, doctors and others may receive discounts–ask). Once you know the type and extent of the insurance coverage you want, get a few quotes from different insurers for the same level of coverage and with the same bells and whistles. You can shop for home insurance online and make an informed decision. Tornado season is upon us. Oklahomans know that a tornado can strike at any time and place without a care of what is in its path. For that reason, it is better to be safe than sorry and insure all your valuables. One of the most important items to insure is your home. If you are a homeowner, you most likely had to purchase homeowners insurance as a requirement for your mortgage. As for renters, they most likely don’t have renter’s insurance unless their landlord mandates it. Many pass on renters insurance because they feel like they can replace anything lost. But did you know renters insurance protects more than just your items? Many renters insurance policies include liability coverage. This follows you wherever you go. Liability coverage protects you from paying out of pocket if you are found legally responsible for injuries to other people or damages to their property. For example, if a friend falls in your home because they tripped on a cord from your TV, you are covered. Or if you were in a glass store and you accidentally knock over a display, you are covered. Liability coverage can also include your children. Renters insurance also covers the cost of having to stay in a hotel if you are not able to stay in your apartment or home. This can come in handy for those unexpected nightmares. If your apartment floods, your renters insurance can pay for your hotel stay until it is safe for you to move back. The most common feature a renters insurance has is protecting your belongings. In some policies, this feature follows your belongings where ever they may be. For example, if your laptop gets stolen out of your car, your renters insurance can possibly cover it. Bonus, depending on your car insurance policy, it could also cover your laptop. It is important to understand your policies to know what exactly is included in your coverage. In the long run, a $15 renters insurance policy is not a waste of money. Give us a call for more information on renters insurance. As the temperature begins to rise more people are starting to dust off their motorcycles, boats, jet skis and much more. But before you start to take your favorite summer toys out of storage, have you reviewed or renewed your insurance policies? There are a few people who cancel their insurance policies for their summer vehicles during storage because they see a way to “save” money. In reality, this could cost you more money. Having a large gap in-between your policies can place you in the high-risk category which could lead to a higher premium down the road. Having a year-round policy does keep your items protect against theft, fire or other potential damage from weather-related storms. There are other ways to save money on your summer recreational toys without having to cancel your policy during the winter months. Talk to your agent- if you bundle your seasonal vehicles with your current car insurance you might qualify for additional discounts. Increase your deductible – you could reduce your insurance premium by raising your deductible. Install an anti-theft device – some carriers offer discounts if you add an anti-theft device to your seasonal vehicle. Before you take your summer vehicles out on the road or water, review your policy to understand your coverage. If you are unhappy or not 100 percent clear on it, give your agent a call. If they don’t explain your policy to you, then change agent. Your agent should help you find the best plan that fits your budget and needs as much as possible. If you have any questions give us a call at (405) 602-1554. Missing work because of an injury is never fun, especially if you have bills to pay. If your injury was work related, then your worker’s compensation most likely took care of your bills. But what would happen if your injury wasn’t work-related? Or if you had to miss months of work? That is where disability insurance steps in. Private disability insurance protects the income you are missing while you can’t work. This will allow policy owners to continue to live their day to day lives without having to worry so much about money. Their income is protected, and they can focus on their health. Disability insurance policies cover the cost of missing work due to illness, injury, or pregnancy. More than one in four 20-year-olds can expect to miss work for at least a year due to a disability before they reach retirement age. That can include missing a month’s worth of work because you were one of the unlucky ones who caught the flu. It can also include being in a car wreck that forces you to be bed rest for weeks. And your policy can also give you income protection if you have a high alert pregnancy and are forced to stay home. Depression and anxiety are the number one mental health issues that cause people to miss work. Don’t add stress your health because your policy can also cover your mental health. Suffering from a form of disability can happen to you. Give us a call to learn how to protect your income with disability insurance. When planning a trip your priorities are to book flights, reserve hotel rooms and purchase tickets for activities. One thing you should also add to the list is purchasing travel insurance. A lot of time and money goes into planning a trip whether it is a town over or overseas. Travel insurance is a must to help you be protected against any unexpected events before and during your trip. One of the worst feelings in the world is having to cancel a trip for unforeseen circumstances and not being able to be reimbursed. If you were to have purchased travel insurance your nightmare would not become a reality. With insurance, you would be covered and offered a reimbursement for what has been paid towards your trip. Trip cancellation/interruption also includes having to return home mid-trip. Depending on your policy you can be reimbursed for the days left on your vacation that were not fulfilled. For example, you could be reimbursed for the nights your hotel was booked for but you weren’t there or the tours you had booked but had to miss. At times, our bags will arrive at a later flight or just won’t make it to our planned destination. Whether you miss any of your flights or your luggage goes missing, travel insurance has you covered. Depending on your policy your next flight could be paid for and you could also be reimbursed thousands of dollars for your missing luggage. If you were to get sick or injured and seek medical attention abroad your healthcare plan may not cover you. You might have to initially pay out of pocket then wait months to be reimbursed through your healthcare plan. With certain travel insurance policies, your insurance carrier would directly pay the hospital or doctor’s office immediately. You can also have a policy that covers an emergency medical evacuation. Acts of terrorism can occur at any given time. When traveling abroad it is helpful to have a safety plan in place in case an emergency evacuation occurs. If you are ever forced to leave a place and fly back home, travel insurance would cover your expenses. Sometimes your travel agent or insurance agent will have emergency plans including safe locations and phone numbers on hand for your trip. Insurance is meant to help you in your worst times. Insure your financial investment in your trip with travel insurance. Contact your favorite Eagle Group Associate for more information about travel insurance. Businesses now days use the Internet daily. They reach, communicate and complete transactions with their customers online. The online world is part of everyone’s norm. So why not have a risk management plan with cyber insurance? There are many plans to help cover the cost related to first parties, but there are also other plans that include claims from third parties. Cyber insurance helps organizations bounce back if they fall victim to a cyber attack. As technology continues to advance so does cyber insurance. Extortion and lawsuits– Ransomware is becoming a popular extortion strategy hackers use on companies. Cyber insurance can help cover the extortion cost and any legal expenses associated with your case. Forensics Investigation– To help better protect your information, your policy could cover the cost of hiring a third-party security firm to begin an investigation. The firm could also work with the FBI to find out how your information became breached, how to prevent it and how to repair the damage. 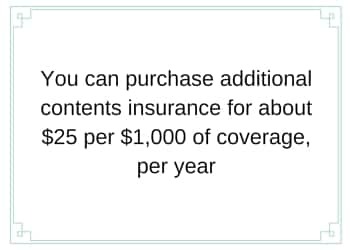 This information will help you and your insurance carrier. Notifications- In some jurisdictions, it is mandated for companies to pay for credit monitoring for clients whose information could have been or was breached. If you have clients whose information was affected, a cyber insurance policy could cover the cost of credit monitoring for those clients. Losses- Certain policies help cover monetary loss due to network downtime, data loss recovery and business interruption. Some policies even cover reputation repair and much more. If you have any questions about cyber insurance give us a call at 405-602-1554. To review the full text of the USI study, go here.